Netflix’ hit series 13 Reasons Why returns this month with its second season. 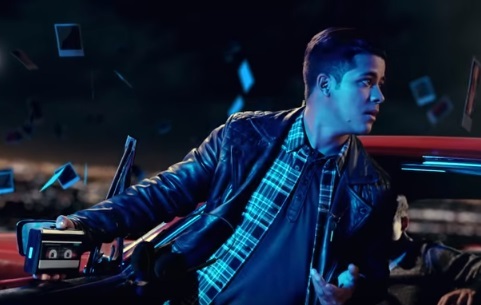 The streaming service has released a first trailer, announcing the release date – May 18 – and revealing that “The tapes were just the beginning”. The mystery teen drama, based on Jay Asher’s 2007 novel “Thirteen Reasons Why”, revolves around teenager Clay Jensen (Dylan Minnette) and his recently deceased classmate Hannah Baker (Katherine Langford), who committed suicide after suffering a series of demoralizing circumstances brought on by various persons at school. A box of cassette tapes recorded by Hannah before taking her own life details thirteen reasons why she did that.The cast also includes Alisha Boe, Brandon Flynn, Christian Navarro, Justin Prentice, Miles Heizer, Devin Druid, Ross Butler, Kate Walsh, Derek Luke, Amy Hargreaves, Josh Hamilton, Brian d’Arcy James, and others. Judging by the trailer, which features various characters apparently frozen in space around school, town, and their homes surrounded by many polaroid pictures, in season 2 photos will be the ones offering clues to other dark secrets. Soundtracked by Depeche Mode’s 1993 single “I Feel You,” the trailer ends with Clay also appearing frozen in his room, finding a shot of Hannah’s eye on the floor and reading on the back the message “The tapes were just the beginning”. The first season and the special 13 Reasons Why: Beyond the Reasons were released worldwide on the streaming site on March 31, 2017 and received largely positive reviews from critics and audiences, who have praised its subject matter and casting.